I’m a marketing consultant and writer with specialties in search and social media. I am President and Digital Marketing Director for Interface Communications Group (123interface), a rather lean and mean interactive marketing agency. 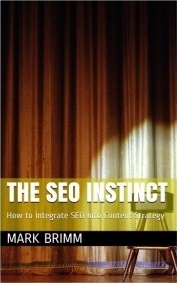 I am also author of The SEO Instinct, co-authored AdWords University: The Complete Guide to AdWords, as well as a forth-coming book on social media strategy. I also partner with local and national marketing agencies across the US, Europe and Asia to provide campaign management when conditions are favorable. Sometimes I consult them on site about how to do online marketing better. Sometimes this is easily accomplished via a plan of action and a phone call or two. I usually charge more for in-person appearances, so it’s most economical to buy a few hours of my time and do it all long-distance. …More? Well, I love to travel (to sunny and exotic locales, mostly), eat good food, have a beer with fun people, and lots of other things. I also love small businesses with cool ideas and big aims to change the world for the better.